Experience the Elev8 Lifestyle with Elev8 Presents. Living an Elev8 lifestyle is about elevating your Mind, Body, and Spirit to a new level. If you Elev8 each day, like the Buddha you will get closer to enlightenment. Living life in an Elev8 state of mind is how the Elev8 Dolls live their lives. A woman that is living their life in an Elev8 state of mind can be an Elev8 Doll. Our Elev8 Doll Ambassadors are a true extension of our brand - authentic lovers of fashion, crafting, DIY-ing, entertaining, and healthy, stylish living. If this sounds like YOU, then click the image above to learn more! Elev8 At Home is a new experience in the cannabis world. The goal of Elev8 At Home is to bring education to you about cannabis and how to consume it. 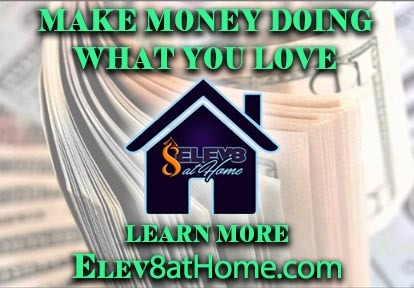 Looking to become part of the Elev8 At Home Experience click the image above to learn more. This is a chance to be your own boss, live the Elev8 lifestyle and help improve the lives of others. Elev8 Presents a collection of glassblowers. Elev8 was founded by a glassblower who is always looking to expand his skill set and creativity. Working with glassblowers in the cannabis industry is one of the greatest things to have ever happened to us here at Elev8 Presents. We have tried to make it easier for us and you to find that next amazing artist you may not have heard of. The world of glassblowing is big, and many of these glass artists focus on their art rather than promotion. So maybe we can help Elev8 these hard workers with your help! Click on the image above to meet some glassblowers making some of the dopest rigs, bongs, pipes and more. 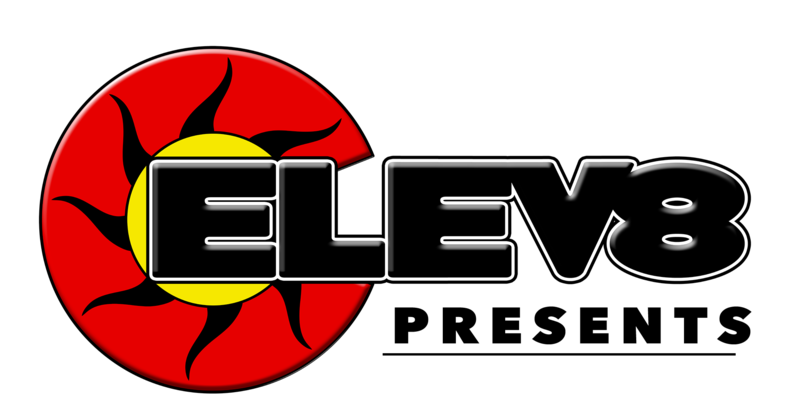 Education and entertainment are what we do best here at Elev8 Presents. Click on the image above to get some knowledge from industry leaders in glass, manufacturing, celebrities, growers and more. Learn more about the glassblowers are Elev8 Premier Glass Studio. The glassblowers there are always growing their skills, goofing off and making some of the dopest heady glass. If you are in Colorado Springs stop on by! Need some clear or colored glass, they have it. Need a class to learn some more glassblowing skills, they can help. Are you a glassblower traveling through? 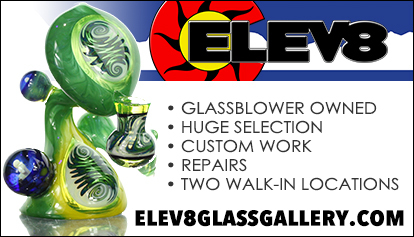 Elev8 Premier welcomes you to stop on by and blow some glass with them. Click on the image to learn more.